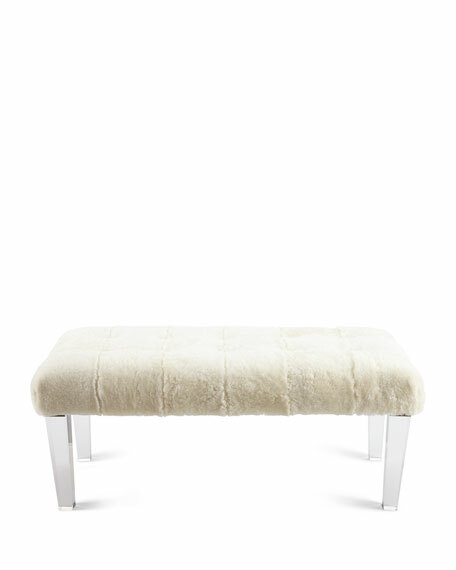 Handcrafted Jaselyn sheep shearling bench in ivory. 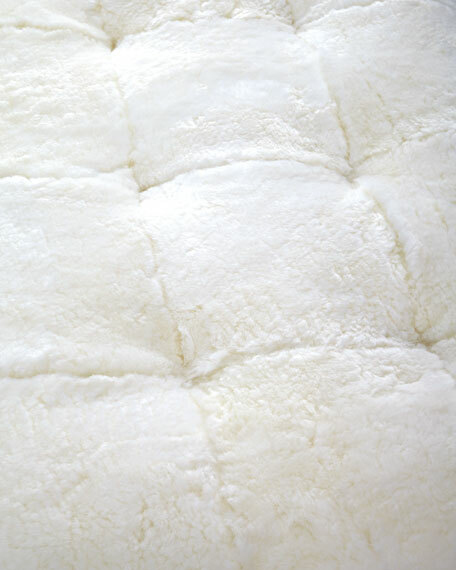 47"W x 22"D x 20"T.
Each of our high-quality sheep shearling items is made from natural materials, and no two are alike. Unique variations in each hide add to the authentic look.